I was running out of time and ideas for dinner. Saw in the magazine chicken wrapped in bacon. But since I had just cooked chicken the other night, I tweaked it a bit. 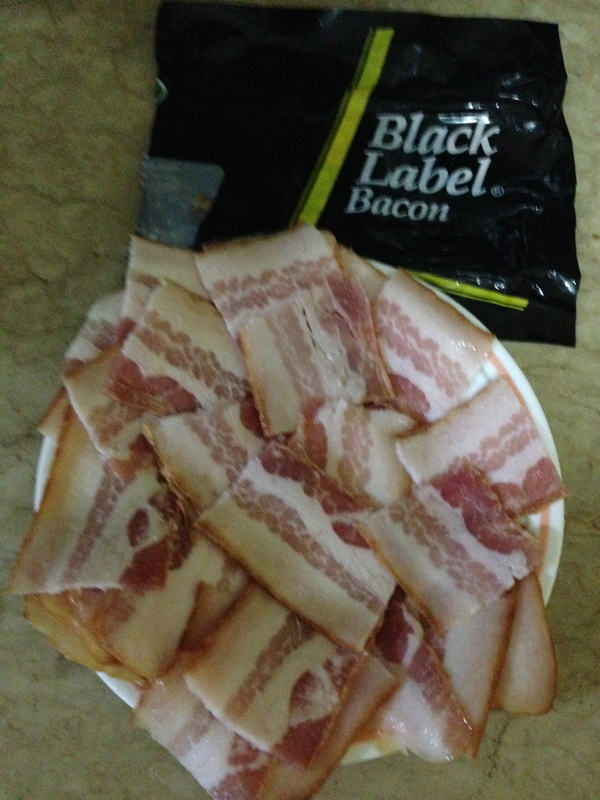 I decided to make bacon with corned beef. 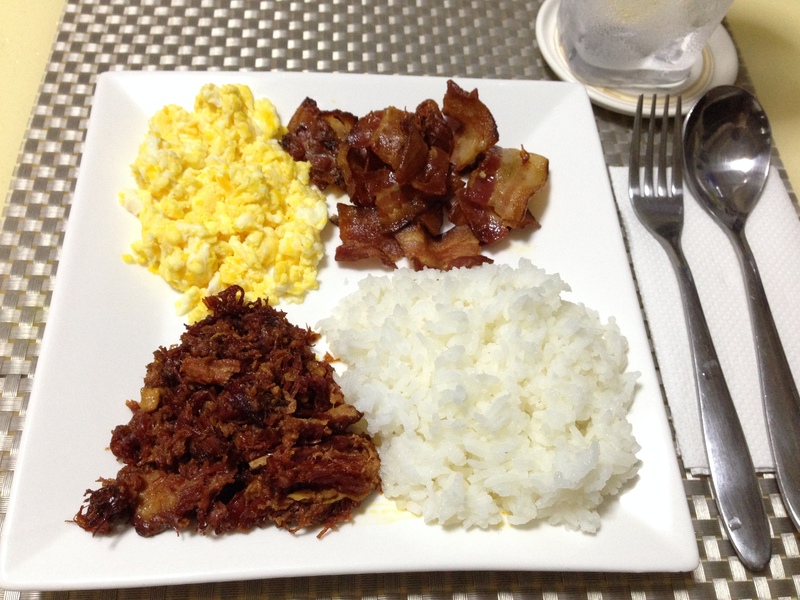 Then I thought, why not add some egg and make it into a real breakfast meal…and so I did! With only a few minutes left before the mister would get home, I had to cook something fast. Got some bacon and cut them into smaller sizes. 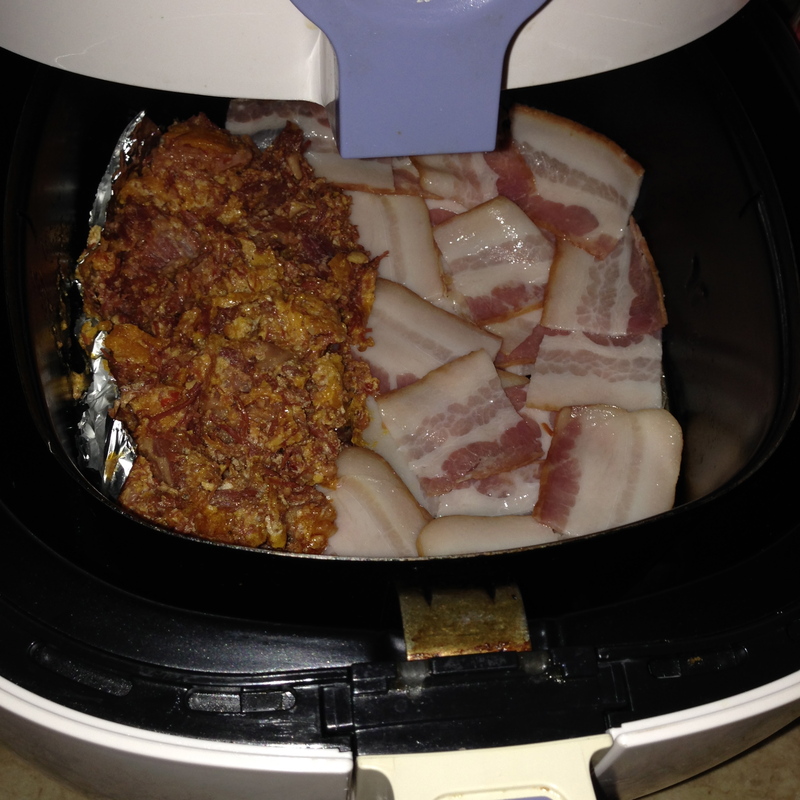 Then opened up some purefoods chili corned beef and put it in the air fryer too. After 20 minutes, it looked was cooked. Bacon looked so crispy already. 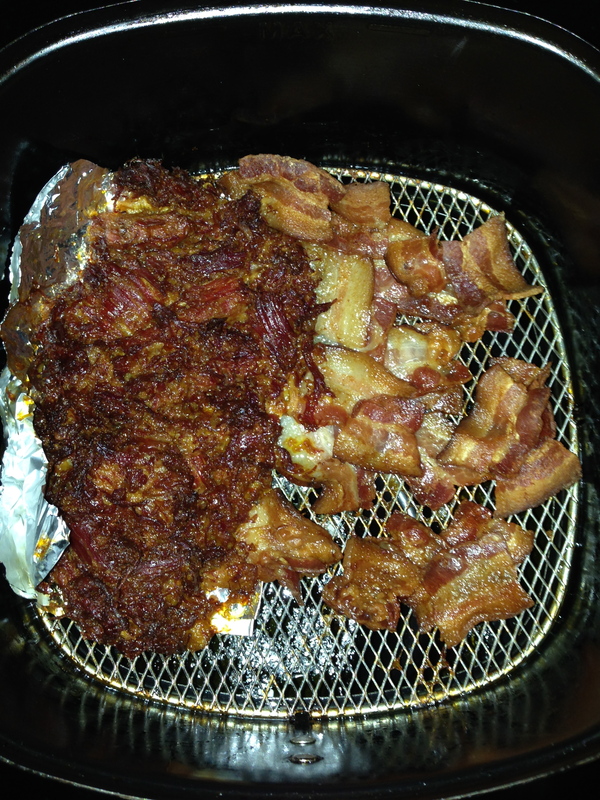 I took the bacon out and cooked the corned beef for another 10min. We like corned beef really crunchy and a bit burnt. The mister came home with this. He claims he was so hungry while waiting for the driver. 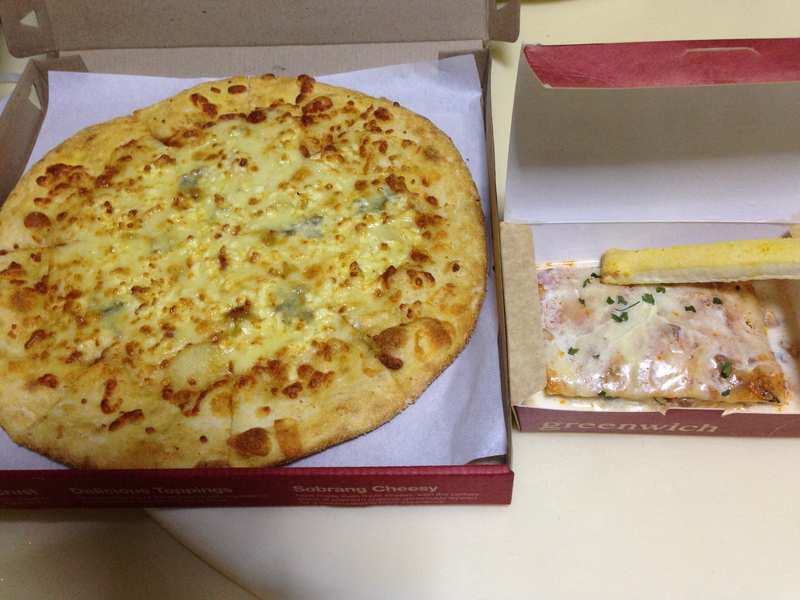 He said he didn’t know I was gonna cook, if he had, he wouldn’t have bought food….Din’t he really??? Hmmm…. Toddler’s feet and the iPad don’t mix!